In a fairly short amount of time, Dr. Steve has made the tingling and numbness in my arm and hand disappear. His adjustments continue to improve my physical well being. 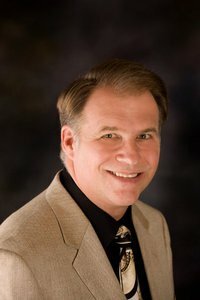 Dr. Steves positive attitude and extensive knowledge are extremely beneficial. Dr. Steve helped me get out of pain and continues to provide excellent and friendly care. I came to see Dr. Steve for the lateral cutaneous nerve of my right thigh. My thigh had been getting numb for some time. I was experiencing pain and a burning sensation in that area. Through Dr. Steves expertise and help I no longer have any numbness or pain in that area. Dr. Steve is very committed to overall health. He will think outside the box if necessary. Dr. Steves treatments are tailored for each person. The staff is very helpful and accommodating to make sure appointments can be made to fit a busy schedule. Consistent and professional, he has been instrumental to my health and I would recommend Dr. Steve to anyone. Dr. Steve is very up-beat and enthusiastic. Dr. Steve takes the time to answer any questions you might have and can explain the complex intricacies of what hes doing in a clear and concise manner. I had pain in the shoulder for 5 years, low back pain and tingling in my right hand and left foot. After 5 years of constant pain, I have total relief after 5 visits with Dr. Steve. Dr. Steve has done what 4 other chiropractors have not been able to do in 5 years. My condition has improved greatly from just one visit. My pain and numbness has gone away. You have nothing to lose. The worst that can happen is you feel better. If you have a pain. Dr. Steve can solve the problem without pain killers. He can figure out the root cause and help you.